Samsung’s Galaxy S8 and Galaxy S8+ are outfitted with the latest security flavors ever to see in a flagship phone. From the traditional ‘Pin’ and ‘Pattern’ unlocking options, right down to the high-end fingerprint sensor to facial recognition, both of these phones represent what a secure and aesthetic wonder a flagship smartphone should appear as. However, turns out that the facial recognition system might not be as secure as you thought and while it definitely sounds that even the most proficient of hackers cannot check what sort of data you have stored behind the security wall, there is actually a very simple way to bypass the facial recognition feature. As you can see in the video below, a sophisticated security feature like the facial recognition on the Galaxy S8 can easily be bypassed if you hold up a photograph in front of the device. If you check out the clip, you can see that the owner’s picture being placed in front of the flagship will be sufficient to unlock the phone. Naturally, this is an alarming revelation, forcing users to resort to either using their fingerprint readers or iris scanners when they get their hands on the phone. We are not sure if the software and facial recognition integration has been perfected to recognize this security flaw but this video would definitely have triggered Samsung’s attention. We are hoping that the company is able to roll out a security update that would mitigate this problem as much as possible. Keep in mind that the Galaxy S8 can also be used to facilitate payments and if the facial recognition security wall has been scaled using this approach, then a different person can think of some malicious things with a Galaxy S8 in hand. 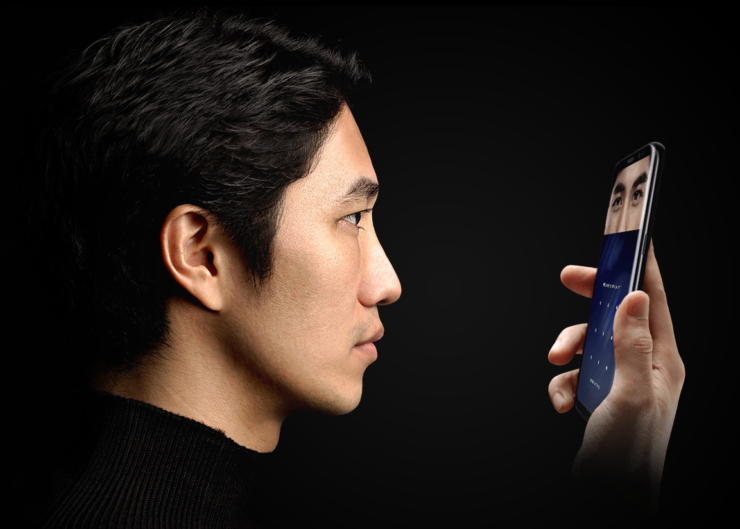 Would you be using facial recognition on your Galaxy S8? Let us know your thoughts down in the comments.